At a pre-MWC briefing in London Ericsson was keen to bring attention to the ten 5G deal wins it already has in the bank. 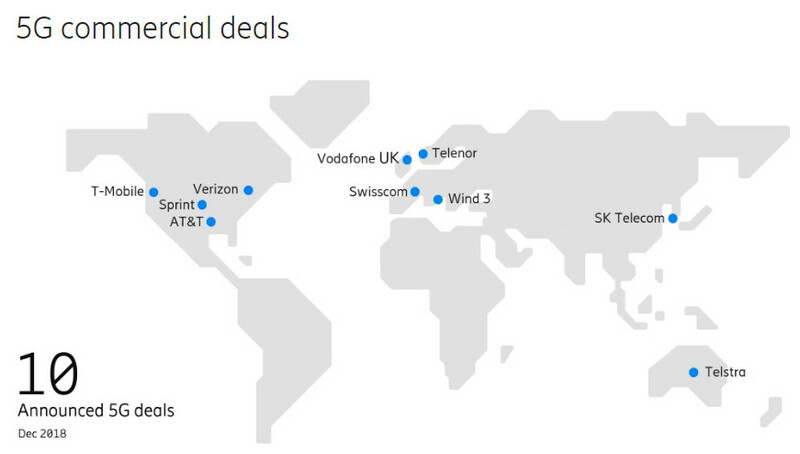 All four US MNOs, Vodafone UK, Telenor, Swisscom, Wind 3, SK Telecom and Telstra have all put pen to paper on contracts with Ericsson for either RAN or core 5G gear. Ericsson didn’t explicitly call out any of its competitors but it seems very likely that this revelation was made with Huawei in mind, which has been crowing about its 30+ deal wins for some time but has yet to publicly name any of them. Chatting to Ericsson execs on the sidelines of the event, we got the impression this number could have been higher, but Ericsson is erring on the side of caution. It’s not really Ericsson’s style to publicly beat its chest, but there is also the matter of getting the green light from its customers to bang on about the fact that they’ve bought some of its shiny new 5G kit. Most of the actual news at the event was embargoed until tomorrow, so watch this space, but we’re confident of not giving away any trade secrets by revealing 5G will be the dominant theme for Ericsson at this year’s telecoms fest. With that in mind Ericsson CEO Börje Ekholm wrote a blog the other day entitled ‘The world is talking about 5G. We are deploying it.’ As the headline implies this is a rare bit of chest-beating from Ericsson, which clearly wants to generate some buzz leading up to MWC. Ekholm refers to the ten named 5G wins as well as no less than 42 MoUs and the standard one-upmanship about standard-essential patents. The elephant in the room is, as ever, Huawei, and the uncertainty around what European governments might decide to do on the fraught topic of Huawei and 5G security. Ericsson execs are far too discrete to address the matter directly but anytime Huawei is perceived as a threat, that presents an opportunity for them. However, as Ekholm implies, uncertainty can also result in a more general reluctance to invest, which is bad news for everyone.